Quicker delivery - is it possible? ABEC hype got you confused? 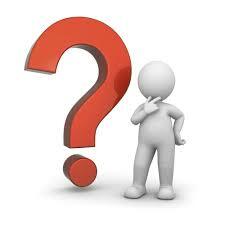 If your question is not answered here, please contact us by e-mail. If you receive a confirmation from us stating that items have been backordered, please check the "shipping date" on the confirmation for an estimate of when the goods will be available. If we decide to send a partial shipment of the items available from stock, there will be no additional freight charge when the backorder is shipped. All orders require payment up front. Cancellation of backordered items prior to delivery may not be possible once the order is underway. Please choose carefully if your items are not available from stock. If you are choosing the "EFT Payment" option, you will be sent a final confirmation when your order has been checked and processed. This final confirmation shows our bank details in the lower left corner. If you are new to bearings or have been caught up in all the ABEC hype related to skate and fishing reel bearings, you may like to check our Skate Bearing FAQ sheet on this subject. For the engineer our technical pages contain a lot of information about bearings including a tables of tolerances. 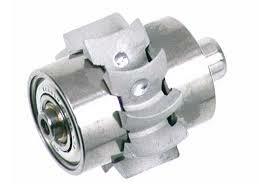 The purpose of a bearing’s cage is to hold and separate the rolling elements (balls) of the bearing. The most common types of cage used for miniature ball bearings are the two piece steel ribbon and the one piece steel crown types. These cages are usually made out of a variety of grades of steel depending upon the manufacturer. Cages may be made from Brass, SAE52100 Chrome Steel or Stainless Steels AISI302, AISI410 or AISI430. Larger bearings (over 10mm bore size) usually utilise a two piece steel riveted cage allowing for higher loads, and more vibration and acceleration stresses to be placed on the bearings. 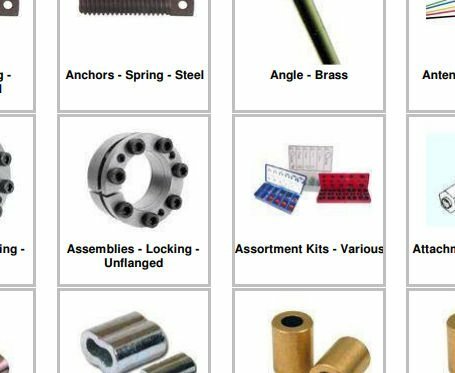 Small Parts and Bearings carries a wide range of bearings with high speed cages and increased internal clearance. Please note however that "High Speed" is only a relative term. "High Speed" for a 10mm bearing is not the same as "High Speed" for a 4mm bearing. "High Speed" for a skating application is not the same as "High Speed" for a dental handpiece. DELRIN® and PEEK® are registered trademarks of DuPont. TORLON® is a registered trademark of BP Amoco Polymers. 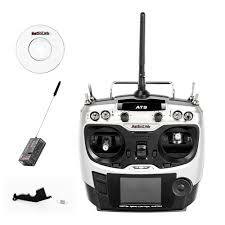 The most up to date catalogue is our online store with 126265 items shown. Due to the number of items available we don’t produce a hardcopy catalogue. 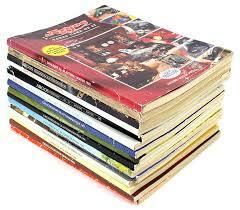 We do have a large selection of PDF Catalogues (by category) available for download. We don’t provide engineering information other than general product specifications. We will tell you what material a product is made from but we don’t provide specifications or characteristics for the material. We may tell you the tolerance range for a product but we don’t discuss fits. We may provide limited engineering data such as temperature ranges, hardness etc but we will not discuss suitability for your application. We offer a very good engineering guide called The Machinery Handbook for sale on our web site. This large book lists much data related to standards, tolerances and material characteristics. As the end user of a bearing, you should aim to leave all bearings in their original packaging until it is time to install them. Bearings are precision engineered products and any exposure to dirt can be detrimental to the correct functioning of the bearing. We do not recommended that you attempt to modify the internal characteristics of a bearing in any way. If you decide to do so, strict cleanliness is essential. Charges apply for providing Certificates of Conformance and/or RoHS Certificates. If these types of certificates are required you will need to contact us prior to placing your order to find out the associated costs. Orders requiring such certificates must then be faxed or emailed to us with a line item included specifying the certificate required and the cost. See more details on the Certificates Page. The radial play or clearance of a bearing is equal to the total radial displacement, in the median plane perpendicular to the bearing axis of the inner ring in relation to the outer ring, under the effect of a small measuring force. Clearance has nothing to do with the quality of a bearing but if badly chosen or unfavourably influenced during mounting, it can adversely affect the operation and reduce the working life of a bearing. For a full description of clearances please see the Clearance Page. "The available" times shown on our product pages are the usual amount of time before a product will be available to despatch after you order it . See also "Shipping Times". "Shipping Times" represent the usual time in transit from when a parcel is despatched from us until it reaches you. Overseas customers may experience additional delays with customs processing. "Usual Delivery" or "Usual Despatch Time" indicates how long, under normal circumstances, it will take for us to obtain and despatch the item. Our 126265 products come from many different factories throughout the world, so it is impossible for us to have real time availability displayed. You can use the links within the item page to e-mail us to check the availability. This is normally only a good idea if your timing is critical. Unfortunately checking first may also delay the final delivery by a few days whilst we check the stock status. Additionally, once we check the availability, there is nothing stopping the item selling out prior to your order being placed. Please note that we NEVER quote a definite delivery time for any item as we have no control over our suppliers or freight companies. We do however have both automated and manual systems in place to follow up delayed deliveries with our suppliers and to keep you informed throughout the process. Once you place an order our automated system will keep you informed of any changes to the estimated delivery dates that we receive. If you receive an automated update, the new information will once again be our best estimate based on available information from our suppliers and/or freight forwarders. Our policy is not to make promises that are beyond our control, but to keep our customers informed and to give our best estimates based on the information available. This may seem different to the way many suppliers do business. Many suppliers will promise you a delivery time and then hope for the best once you place your order. These suppliers know that your order will usually be supplied within their quoted time but if it isn’t, it will still be supplied before you realise that it is overdue, so you still think the supplier has done well. Occasionally you realise the item is overdue because you have an urgent need for the goods. You then have to chase the supplier. The supplier now realises that the goods are overdue and sets in motion procedures to chase their own suppliers. Does this sound familiar? Our policy and systems are a little different. Firstly, we don’t promise a delivery date - we advise you of the best estimate based on all available data at the time. Once you place your order you are placed into our automatic updates system. When our orders are placed with our suppliers we require their confirmation that the order has been received and processed within 2 days. Suppliers are followed up immediately until they confirm receipt of the order. This means you can be assured that our order for your goods has not been lost in the system. Our suppliers are then requested to inform us of any changes to the due dates for each item. Changes may be due to any number of factors such as sold stock, missing stock, incorrect stock, quality check failures or other reasons. As soon as we receive an update it is entered into our system and on the same day you will be sent an e-mail with the new estimate. Our system automatically starts following up all items a few days before they are due if we haven’t received a despatch advice from the supplier. Manual checks are also in place when items become overdue by more than a day. Once again, as soon as we receive an answer from our suppliers, you will be informed of the new details on the day we receive the answer. Naturally we would like to supply everything by the original estimated date, but it is a fact of business that not everything will always go according to plan. Over 99% of our orders are supplied by the first estimated date, but due to the less than 1% that aren’t, our policy is not to make promises based on things we can’t control. We would rather keep you informed whenever a change occurs, and to keep the pressure on our suppliers for timely deliveries. One of the drawbacks to doing business in this way is that some customers would rather hear their supplier promise them a delivery date so that when the delivery date isn’t kept they will have someone to blame. We prefer to believe that everyone from our suppliers to our freight forwarders are doing the best job possible and that if something goes wrong then the best course of action is to get the problem fixed rather than trying to pin the blame on someone. Our systems are in place to fix problems swiftly and communicate any changes to our customers. Another drawback to doing business in this way is that it alerts customers when their order is going to be delayed, whilst many suppliers wouldn’t do so. If we hadn’t alerted our customer to the potential delay they may never have even noticed when the goods turn up a little late, and indeed this is the practice of many suppliers. However, we believe that our customers should be informed of potential delays as soon as we are in case they need to make alternative arrangements. Every now and then we have a customer become annoyed because we advise them of a delay. This is usually because they have made a promise to someone else that is beyond their control. If you would rather not receive automatic updates please ask our sales staff to deactivate updates for your account. Steel bearings are not meant to be run in dirty, moist environments. Sure, bearings are included in equipment that gets dirty and moist, but that does not mean that they were ever designed for those conditions. Differing conditions call for different types of bearings. Each type has it’s own strengths and weaknesses. If you choose the most suitable bearing for the job you will get the best life expectancy. If a bearing fails in the environment you place it, it does not necessarily mean that there is anything wrong with the bearing. All bearings have a life expectancy even under ideal operating conditions. Anything you do to a bearing that is not ideal will shorten the bearing life expectancy. This includes shock loads such as in skating, exposure to dirt such as with rc buggies, moisture, side loads, preloading, damage during fitting, extreme temperatures (hot or cold), loss of lubricant and more. When a bearing fails early, the chances of the failure being due to a manufacturing fault are almost zero, whilst the likelihood of the failure being due to one of the factors listed above are almost 100%. Anything you do to help protect the bearing’s ideal operating environment will prolong the life. This can include using more suitable lubrication, using external seals, using a different integral sealing arrangement such as 2RS rubber seals instead of ZZ metal shields. There are some bearings made from non standard materials that will be better suited to dirty and moist environments, but these are only available in a select range of sizes. These other materials have limitations in other areas such as speed and/or load carrying capabilities. Some of the non standard bearing materials listed on our web site which would be better suited to moisture include ACETAL (plastic), 316 and 304 STAINLESS STEEL, CERAMIC ZRO2, CERAMIC Si3N4. Most of our bearings are Japanese , US or German made. 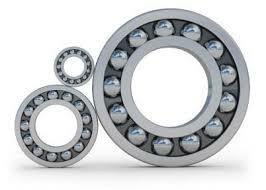 These bearings have an identifiable lubrication and can be traced back to a specific batch. ECO bearings are Taiwanese made with a non specified lubricant. Both types are made to Abec 1 precision, using similar types of steel, similar hardness and the same clearances. The main difference is that the ECO bearings may have lower quyality steels, lubricants and manufacturing processes. ECO bearings are the most cost effective choice for hobby applications including skating. 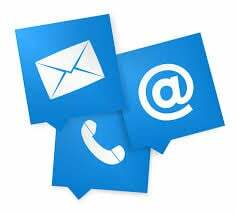 E-mails are generally answered within 1-2 business hours, often quicker. If we can not answer your query fully within this time frame, our standard practice is to reply and let you know that the enquiry is going to take longer. We will also try to give you an indication of how long it should take to obtain an answer. Is your e-mail program "junking" our replies? Please add "*@smallparts.com.au" to your "allowed" senders list. Have you sent your enquiry to the correct e-mail address? You should receive an initial autoreply for e-mails sent to sales. If you are not receiving this autoreply, then we probably haven’t received your e-mail. Did you include a "subject" in your e-mail? If you don’t include a subject our server may "junk" your e-mail. Spammers often use e-mails with no subject. If you use free e-mail service Hotmail, outlook.com, live.com, AOL, Yahoo, Comcast, Orange or Mail.ru, these email providers vet your email before you receive it often blocking legitimate email. You risk missing important emails if you use any of these services. We definitely respond to all enquiries we receive. We don’t provide engineering advice or design services. The information we provide in relation to products is limited to the characteristics of the product and not general engineering information such as properties of the materials, determining fits, information relating to ratios and pitches etc. We can tell you that a product is made from Acetal but we can’t tell you whether acetal is suitable for your application. We can usually tell you the tolerances of an item but we can’t suggest what type of fit you need to use in your application. We can advise you of any relevant standards to which product is manufactured, but we can’t help you to obtain copies of, or interpret the standards. We can advise you of listed dimensions but we can’t advise you of how to calculate related dimensions. We will help you to determine if we have a product matching yours if you can provide us with enough information. We will also gladly help you to find products on our Online Catalogue pages. Please e-mail us for this type of assistance. If you are unable to determine the suitability of a product or need assistance with calculations, we suggest you consult an engineer. Fax orders (fax: 07 3014 8764) are processed at the online price. Please ensure you include your full contact and payment details when faxing an order. With 126265 individual products online you will need to have some idea of what you require. There are several ways to find a product using the handy search box at the top right of any of our pages. If you know our part number you can type it (or part of it) into the search box. 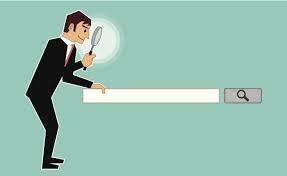 Don’t type anything else when searching for a part number or the search will automatically default to category search instead of part number search. You may leave any dots or dashes in the part number or remove them. It makes no difference to the search. If you get no results, try shortening the part number to look for partial matches. You may also search for matches on other brand part numbers. The best way to do this is to type all or part of the other brand part number followed by the brand - eg, "688 NSK" (with or without the quotes). If the part number is shown in our cross reference of over 400,000 items you will be presented with the most relevant matches. If you don’t know the brand just search for the part number and after any matches from our own part number system are shown the search will then show matches from the most relevant cross reference matches. If you have some idea of what the product is called but you don’t know part numbers, simply type into the search box what you think the item is called. The most relevant matches will be shown. 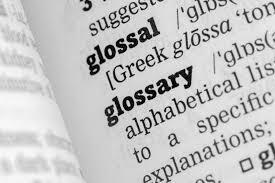 The system even takes into consideration many American spellings and terminoligy, as well as alternative terms for the same item. You can also browse all the product groups that begin with a particular letter by just typing that letter into the search box. 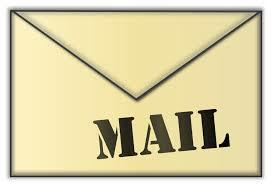 If you are having difficulty finding something please e-mail us. We usually respond within a few business hours. We prefer to use only traceable delivery methods, however we do offer standard postage for low value orders. This is a non-traceable method and you select it at your own risk. We prefer you to select one of our traceable methods which require that you are available to sign for the parcel when it arrives. This doesn’t mean that you are guaranteed delivery - parcels still get lost in transit. If you wish to insure against this happening you should select ’insurance’ during checkout. Once the parcel leaves our office we have no control over it. Selecting insurance means that an order that has been confirmed missing by the courier can be resupplied at no extra cost. If you are unavailable to sign for the parcel you will be left a card so that you can collect the parcel from the courier. If this will be inconvenient you may let us know by checking the "Authority To Leave" box during your order checkout or letting us know when you place your phone order. If you select "Authority To Leave", any insurance selected will only cover the goods until the courier leaves them at your premises. "Usual Delivery" shown on our product pages is not the same as "Shipping Times". "Usual Delivery" represents the time that it would usually take to obtain and despatch the item. "Shipping Times" must be added to this. Australian customers will be automatically provided with a tracking number when our freight manifest is produced between 3:30pm and 4:30pm each day. Overseas tracking numbers are sent manually by our sales staff. If you don’t receive a tracking number please send us an e-mail. If you don’t receive your parcel within the estimated shipping time shown in the shipping times table please e-mail us for a tracking number. 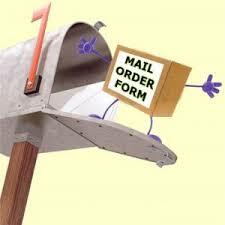 Shipment tracking can be checked on the relevant courier web site. If you have selected a traceable freight method you may optionally select Authority To Leave at checkout. Authority to leave means that you are happy to allow the delivery driver to leave the parcel if you are not available to sign for it. If you have also selected insurance, the insurance is only applicable up to the point of delivery. Once the driver has left the parcel, it is at your own risk. It is wise to only select "Authority To Leave" if your yard is very secure. If you have selected Authority To Leave, please take care to look out for an email copy of our invoice. This e-mail will also give an indication of when the parcel is likely to be despatched (usually same day). Later that day you should receive a tracking number for your parcel. Be sure to contact us immediately if you don’t receive a tracking number. It is a good idea to keep a check on the tracking of your parcel, especially if you have selected "Authority To Leave". That way you will know immediately if the parcel is missing. If your parcel tracking says that it has been delivered but you can’t find it, you will need to contact the courier company and provide them with the tracking number so they can check with their driver. If you do this quickly the driver may recall where the parcel was left. Unfortunately this is the extent of your options if you select "Authority To Leave". If you still want to use traceable freight but don’t want to sign or use "Authority To Leave", you may wish to use a Post Office Box as the delivery address. This is the next most secure option. PO Box delivery will be by Express Post if you select the overnight option. Also see Authority To Leave. To use a gift voucher, simply place an online order. During checkout check the box that says you have a gift voucher, then send the voucher to us with a copy of the online order. 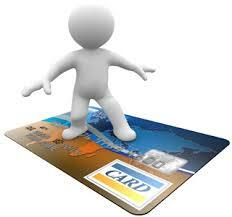 Once received, the value of the voucher will be credited to your credit card. Gift vouchers are used as prizes when we sponsor events. GST is a tax applicable to orders delivered to Australian addresses only. International orders will not be charged GST. When you checkout of the online store, the shopping cart will not add GST to your order unless you have selected an Australian delivery address. GST is still shown for other currencies in our Freight Rates page because we sometimes have orders from foreign guests working in Australia, and GST is still payable if the delivery is sent to an Australian destination regardless of the currency used to pay. Insurance is available for all orders. The current rates are shown during the online checkout process. If you wish to place an order by fax. you can find out the current insurance rate by partially entering an online order up until the stage where the insurance rates are shown. Whilst our parcels are traceable, that does not necessarily mean that they won’t be lost in transit. If insurance is not selected, the purchaser will take sole responsibility for lost or damaged parcels. Limiting speed is the speed at which a bearing can operate at light loads and normal operating conditions without failing prematurely. It is a guide only. Application speeds can vary widely. Bearings in Dental Handpieces for example often run at speeds up to 3 times their limiting speed, however they are not expected to last as long as bearings in less demanding applications. Listed limiting speeds apply to applications involving a rotating shaft. Speeds for applications involving a rotating housing can be up to 30% lower. 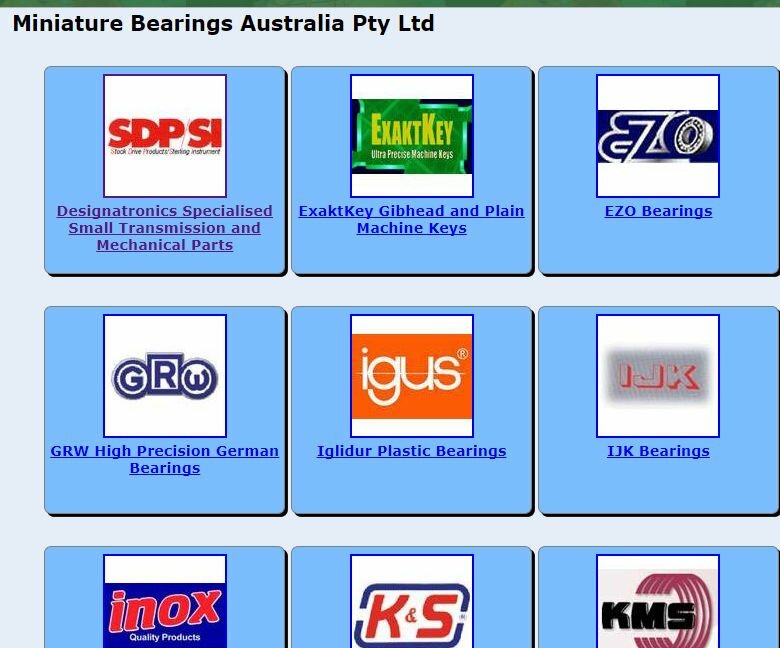 More information relating to the above factors is available on the Small Parts and Bearings web site. We offer a newsletter service which is designed to keep our customers informed about a wide variety of things including web store maintenance, new products, technical and product knowledge and regular discount codes for use when placing online orders. These discount codes change regularly and the only way to ensure you have the latest code is to stay up to date with the newsletters. You can sign up for the newsletter service by visiting our newsletter signup page . If you place an order with us you may receive a newsletter shortly after the order is placed even if you haven’t signed up. You can opt out of further newsletters by clicking the ’unsubscribe’ button at the bottom of the newsletter. This is not considered unsolicited e-mail because once you place an order with us we have a business relationship, and by having a business relationship it is our duty to keep you informed about our products, services and discounts unless you ask us not to. If you find a product category that you are interested in but the particular size you require isn’t listed, we may be able to assist with having the item made. To have a special part quotation would require you to provide us with a drawing of the part required. Quantities must also be sufficient to be an economical production quantity. Economical production quantities vary with each product, but they can be anywhere from 100 to 100,000. Each case is determined on it’s own merits. When you first place an online order you will receive and automatically generated confirmation. This should be regarded as a simple receipt to acknowledge that you have placed an order. During business hours your order is checked for any problems and processed. A final confirmation will then be e-mailed to you to advise that the order has been accepted and processed. Usually no changes need to be made. Occasionally there may be a problem with the order and we will contact you to rectify the problem. All parcels are supplied in protective packaging. Items are wrapped in a combination of bubble wrap and/or sturdy boxes suitable to provide adequate protection. Long items such as allthread, rod and tubing are supplied in sturdy mailing tubes or attached to wooden backing. Why do we not always use the part number of the manufacturer? We offer products from so many different manufacturers that often we find groups of product overlapping or complementing each other. This enables us to offer a far greater range than most other suppliers. It is more consistent to generate our own part numbers consolidating all available items under a common system. Phone orders are processed at the standard retail price. Internet price breaks do not apply. The most efficient way to order by phone is to have our part number ready, and to have already purchased from us before with no changes necessary to your details. If you have not ordered from us before it may take some time to set up your details by phone. Be prepared to wait. If we are busy you may not get through immediately on the phone - online orders take priority. We do not provide technical assistance. We take no responsibility for phone order errors. Verbal communication is less reliable than written communication. Fax orders are processed at the online price. Please fax orders to 07 3014 8764. Please include your full contact and payment details when faxing an order. Please refrain from phoning us for general or technical information. Our store is based around online communication. We prefer online orders and online enquiries. With 126265 items in the catalogue, you are not going to receive a quick answer by telephoning us. It is much more efficient to document your enquiry in a short e-mail. This gives us time to process your enquiry properly and provide the most accurate response. Goods can be delivered to a post office box instead of a street address by standard post option only. A street address must be supplied for all traceable deliveries. Customer details are not shared with any third party. Customer payment details supplied via the secure server are stored in encrypted format until such time as the order is processed. Once the details are decrypted they are removed from the server completely. All online customers are eligible for specials and discounts that are announced from time to time through our online newsletter service. Please register if you wish to be notified when specials are available. Faxed orders and mail orders can be placed at the same price as the published online prices. Phone orders take longer to process and have a greater risk of error than e-mail and fax orders. Accordingly, phone orders are only accepted at full retail price. 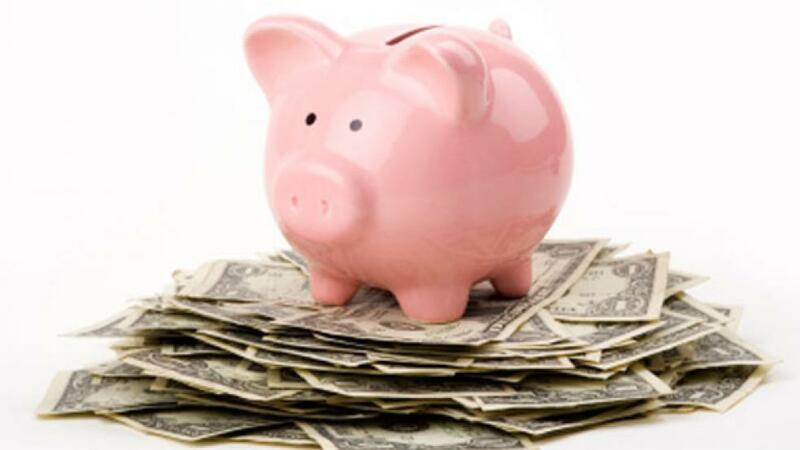 The best way to save money is to register for our specials newsletter or for a discount code (see above) and to place your orders online or by fax or mail. Some items in our store may seem to have high pricing for low quantities when compared to the price for 50 or 100 of the same item. This is not a mistake. These items are not stocked items and in order for us to obtain them for you we need to purchase large quantities. The idea here is that you should only buy these items in small quantities if you simply can not use a standard lower priced item. Only you can determine whether the price is justified with regards to the importance of the item to your job. If it is not terribly important, then you should look for a cheaper alternative. If it is very important, then the extra cost should be justified. We don’t want to get stuck with 99 (or more) of an item to supply just one, unless the customer buying one pays part of the cost of the other 99 that we have to buy. If the item is important enough to pay the high price, then the premium you pay will help us bear some of the cost of the rest of the stock that we don’t need. If the item is not important enough to pay the high price then look for an alternative item or buy more to use as spares. If you purchase a prototype priced item and decide that the item is suitable for your application we will offer you the balance of the pack at a substantially reduced rate if you contact us within 2 months of the initial purchase. Just let us know the item and invoice number. Providing you are prepared to take the rest of the pack in full, we will offer it to you at the difference between the 100 price and the price you paid for the prototype item. Our price breaks are set at 5, 10, 50 and 100. If you require a prototype priced item in a quantity between these amounts we may be able to offer you a special price based on that quantity. For example, if the prototype 1-4 price for an item is $60.00, then you wouldn’t be expected to pay the full $60.00 each for 2, 3 or 4 of the item. Contact us with your requirement and we will work something out for you. All priced items show 5 quantity breaks. You can e-mail us if the quantity you require is more than the largest quantity break shown. We can usually do something if the quantity you require is at least double the highest break. There is a simple link on each item page to contact us for this purpose. It is found below the last quantity price. Please don’t telephone with enquiries for special pricing as we may need to contact the manufacturer before we can get back to you. Is it possible to get items any quicker if they are marked with a usual delivery of 10-14 days or 21-30 days? Sometimes. Items marked as longer than a few days delivery are normally in stock at one of our suppliers overseas. 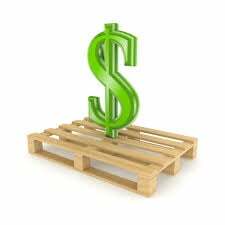 If you require a particular item to be expedited, the cost to do so is usually around A$80.00-A$100.00 (+GST) but will need to be confirmed. You will first need to confirm with us if the item is indeed available to be expedited, by e-mailing us the part number with your request. Once we confirm that the item is available, you will need to make a written note on your faxed order, or in the special instructions area of your online user profile to alert us to the fact that you require an expedited delivery and accept the additional delivery charge. Expedited deliveries can take anywhere from 4 to 8 days depending on many factors beyond our control including but not limited to processing methods at the factory, delays by the shipping company, customs processing etc. Our products come from over 30 factories worldwide. If you require urgent shipping on more than one item there may be additional urgent freight charges. We will confirm these details when you contact us before placing the order. Please do not request free samples. We are unable to supply free samples under any circumstances. Free gifts are sometimes supplied with online orders as a token of our appreciation. From time to time we run special discounts or reduced pricing on parts or all of our range. If you register for our Specials Newsletter you will be kept informed of all offers. Some of the special offers are only available by using a coupon code in the online order. If you don’t have the coupon code you will miss out. So register today to take advantage of all special offers. Some items listed in our store are unpriced. These items are either for reference only or are deleted items. You will find a link in the items page to send us an enquiry for such items, however please understand that most unpriced items will require a very large quantity to produce. You may enquire even if you only need a few, but it is not very likely that we will be able to offer small quantities. Sometimes we will offer an estimate rather than a firm quotation for these items. This is to give the customer an idea as to what to expect so that we don’t put our suppliers to a lot of unnecessary work quoting parts that the customer expected to be a lot cheaper. 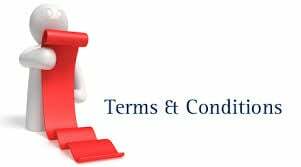 Please see clause 5 of our Terms and Conditions of Sale for more information on this process. If we provide you with pricing for an item where no price is shown in the online store, or special pricing for large quantities, these items can still be added to your online order simply by using the Special Items order form. Simply enter the part number and pre GST price that we quote. The item is added to your cart and becomes eligible for all online discounts. There is also some additional materials information available using the Recommended Links to the left of every page. Using the online store is simple. If you are not a registered user you can do your shopping first and log in later, but your cart will not be saved if you unexpectedly close your browser. It is best to register first. Click the "Log In/View cart" button towards the top right of most pages. Click the "sign in here" section and follow the instructions to log in or register. Select your currency (towards the top right of most pages). Browse the category pages for categories that interest you. Click a category to open it and see a list of subcategories with small pictures. Click the subcategory (or picture) you require. Locate the item you require in the list of products which are listed numeric/alpha by the sizes or information shown in columns 1 through 3. For large categories there is an index towards the bottom of the table that shows which items begin and end on each page. There is also a search function at the bottom of the page which allows you to search by columns 1 to 3 or any combination of them. You need to click the "Show Search Boxes" button to enable searching. This function is disabled by default as it draws on extra system resources to fill the search boxes. Pricing is shown against each item in the table and can be ordered ordered by clicking the "add to cart" button. Quantity pricing can be shown by clicking on the part number. When you finish adding items you simply view your cart, select "secure checkout" and then fill in the final information. The multiple currency options are provided for payments sent by wire transfer and can also be used as a guide for credit card payments. Card payments will be charged in A$ and your card provider will convert this to your own currency. This may not be exactly the same as the rate shown on our site but it should be close.